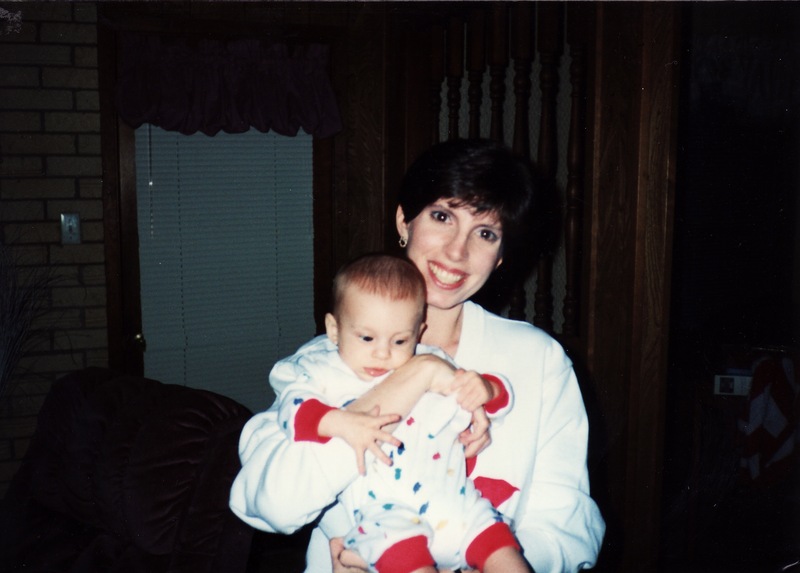 Anna’s journey into motherhood began with the birth of her first son Joseph Robert Jaworski in 1991. Frank and Anna were so happy to welcome Joey into their home. After five years of marriage it was about time he appeared! Alexander Guy Jaworski was born almost exactly three years later. Unbeknownst to Frank and Anna, Alexander had a serious heart defect. Even though Anna had had three ultrasounds during pregnancy, due to concern about the baby’s size and actual due date, no one ever noticed anything was wrong with Alex’s heart. In fact, Anna remembers gleefully watching Alex’s little heart beating while having the ultrasound. It was one of the few things that Anna could actually identify while watching the grainy image on the screen. Years later Alex’s pediatric cardiologist would look at the last ultrasound Anna had before giving birth to Alex and he would tell Anna that even then it was apparent something was dreadfully wrong with Alex’s heart. It wasn’t until Alex was at his second month well-baby check-up that the pediatrician finally agreed with Frank and Anna’s concerns and admitted that something must be wrong. Until that time all of Frank and Anna’s concerns were brushed away with terms like “breastmilk jaundice,” “newborn breathing,” “petite like you” and they were cautioned against comparing Alex to Joey. Frank and Anna felt like they were being regarded as overprotective parents but their gut instincts would prove correct in October 2004. After the medical staff realized that there was a problem with Alex’s heart, Anna and Alex were whisked away in an ambulance to University Hospital in San Antonio. Alex was in congestive heart failure. The Jaworskis were told that he was very sick and that they should just take him home to love him for what little time he had left. Anna asked for another option and they were told there was an experimental procedure called the Norwood Procedure that could be tried but the surgeon only gave Alex a 5% chance of surviving the surgery. 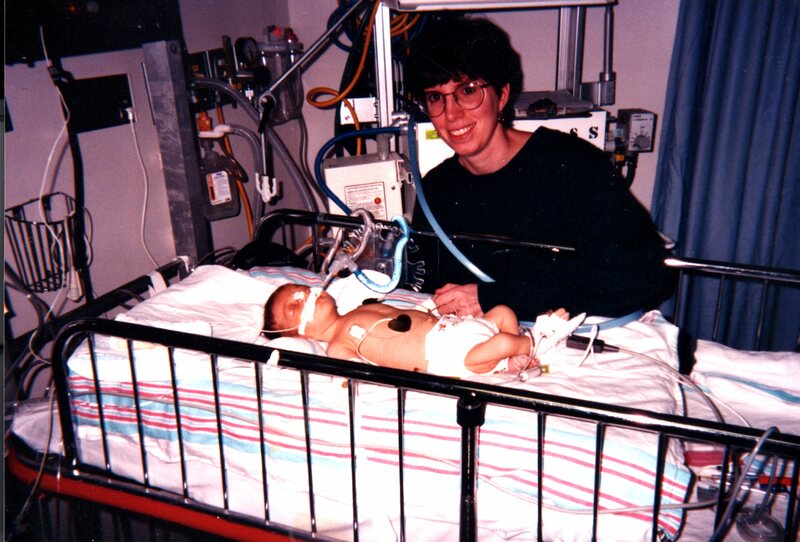 Alex had a modified Norwood Procedure at 65 days old. This photo shows Anna by Alex’s bedside after he had his first open-heart surgery. Alex did very well after his Norwood Procedure and was discharged one week later. He started to grow bigger and stronger, completely surprising his doctors. They began preparing for his second open-heart surgery, which took place seven months later. Anna and Frank were cautioned that Alex could die before his second surgery. They were also told that only 25% of the babies who survived the Norwood Procedure lived to the age of five. Frank and Anna never stopped believing in Alex. 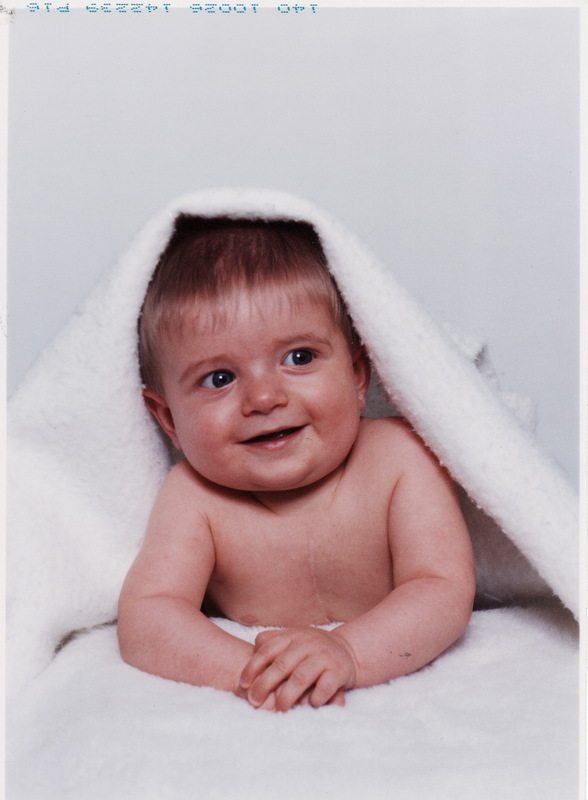 His second surgery was supposed to be a bi-directional Glenn shunt but seven months after the first surgery, Alex instead had a fenestrated Fontan operation. For babies with Alex’s diagnosis, hypoplastic left heart syndrome, this was supposed to be the last of three scheduled surgeries. 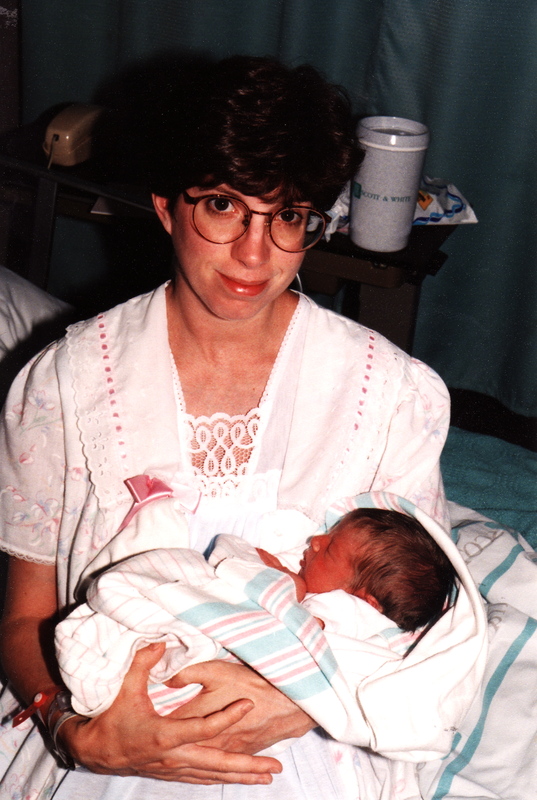 In essence, the surgeon had combined Alex’s second and third surgery. Alex had many complications following his second surgery but he went on to recover and lead a normal life until he was about ten years of age. It was when Alex’s exercise routine began picking up at the Tae Kwon Do dojo that everyone noticed a problem. Alex started turning blue when he would run for too long. The tip of his nose and his fingers turned blue and he became more easily fatigued. Before that time, Alex had always been able to keep up with his peers. A catheterization revealed Alex’s heart had grown, but the piece of Gore-Tex the surgeon had sewn into his heart hadn’t and there were now little holes everywhere the doctor had made a stitch to keep the material in place. The material was stretching as much as it could, but the little holes were letting Alex’s blood mix. He would need another surgery. 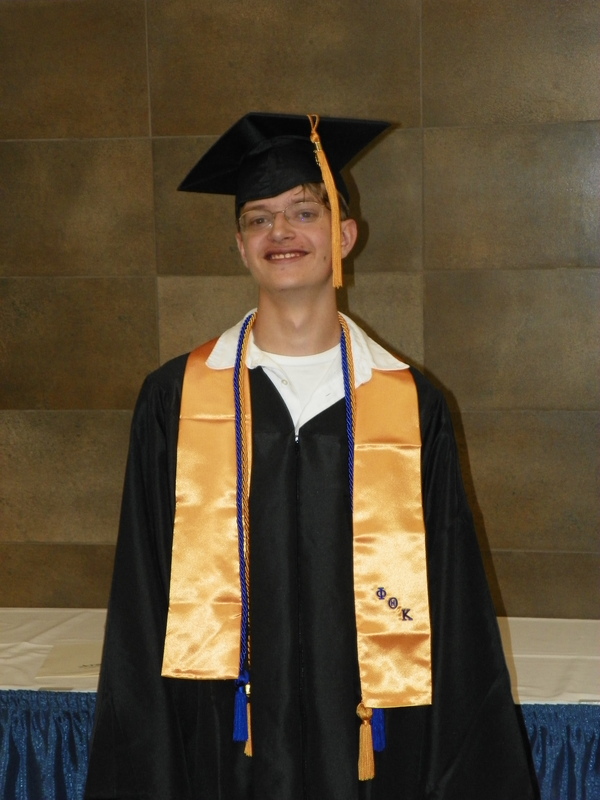 Just a couple of months prior to his last open-heart surgery Alex graduated both from homeschool high school (on his 17th birthday) and from Texas State Technical College (about a week after his birthday) with an Associate’s Degree in Applied Sciences specializing in Robotics. 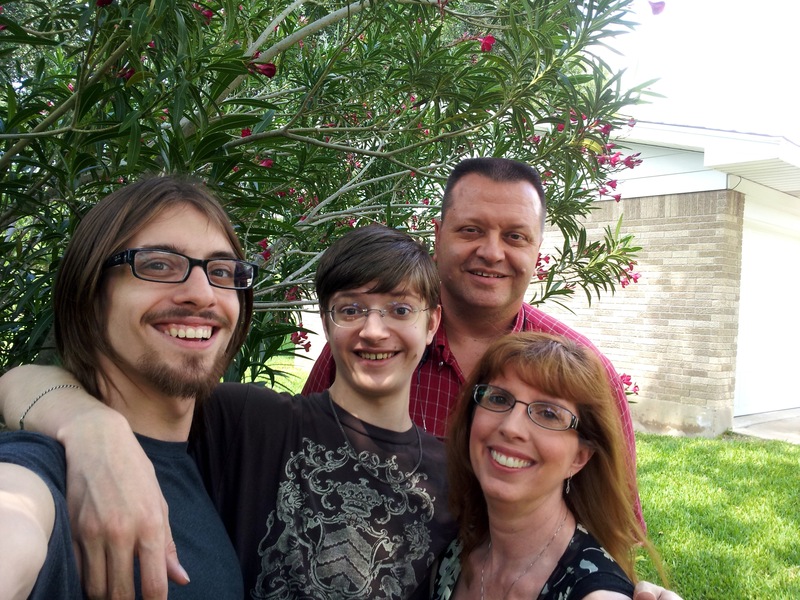 Alex knew that he would need time to recover from his open-heart surgery so he worked very hard to complete both programs before his last surgery. Today Joey lives in Austin where he is pursuing an acting career and Alex lives in Brooklyn, New York where he is studying electrical engineering at NYU-Poly. 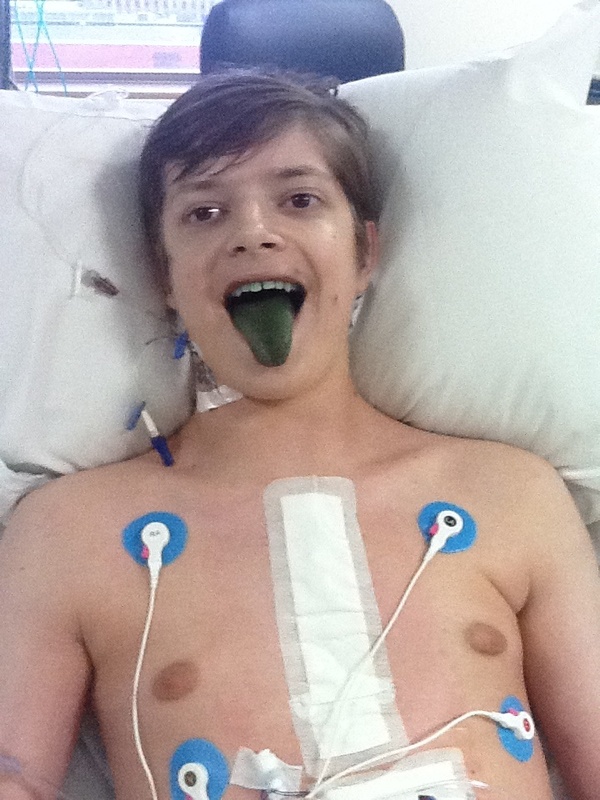 Alex still enjoys green Jell-O and he has completely recovered from his last surgery. Frank and Anna are now at a new phase of parenthood — parents to adults. It is a whole new adventure!